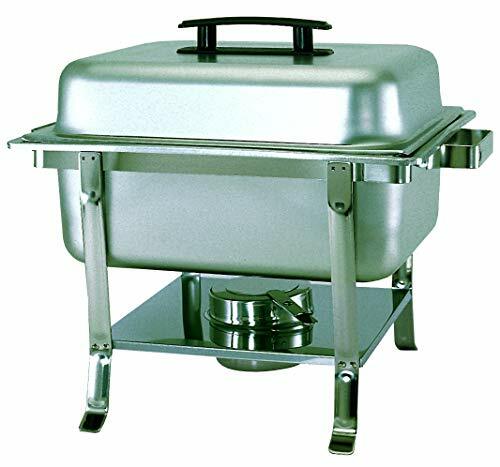 This continental chafer is made of stainless steel material. When serving food buffet-style it is essential to insure that the meal is kept warm and presentable. It allowing a caterer to focus back on the quality of the food instead of whether it's being properly heated. It is heated using canned fuel which is great in the event that no electrical outlets are nearby. Its bakelite lid handle protects the user from heat. Available in half size and has welded legs. Measures 13-3/8-inch length by 16-1/8-inch width by 11-13/16-inch height.